The 12-title Wonders of Earth Science series covers subjects from the Earth’s Interior, Mineralogy, Meteorology, Energy, Glaciers to Understanding Earthquakes and the Ozone Blanket. Students will develop a basic understanding of the fundamentals of Earth Science and work their way up to more complex subjects. One of Earth’s remarkable features is its weather. Our planet’s diverse yet consistent climate creates the conditions for life to flourish. Our food supply, some of our resources and how we live our lives are all weather related. 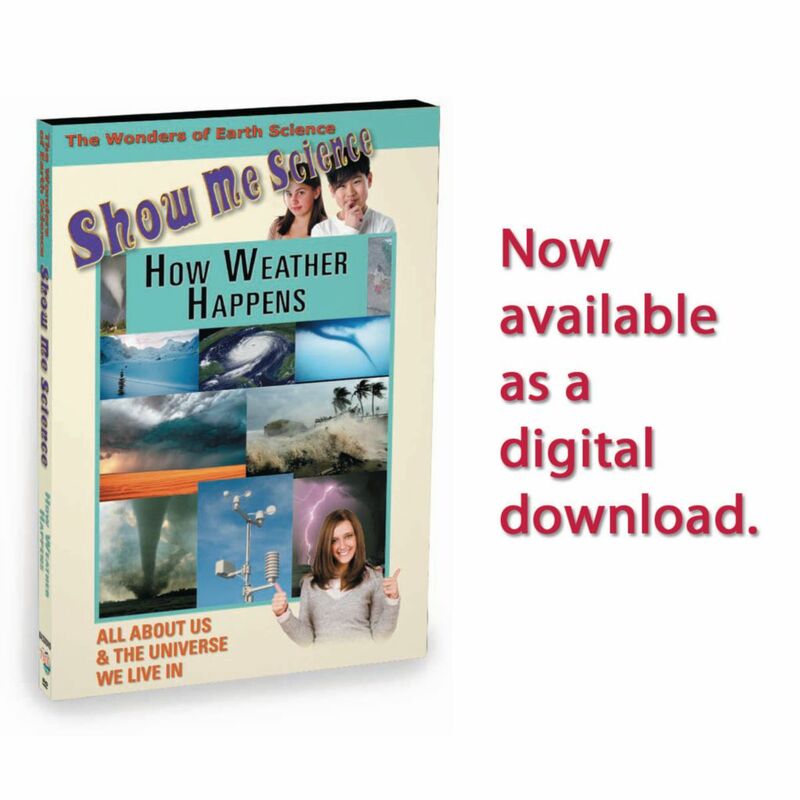 This program explores the different elements of nature that interact to form our weather. Includes suggestions for careers in this field of study.